That’s what all homeopathic ‘medicines’ should say on their labels because that is precisely what they contain: no active ingredients. Saying anything different is misleading the public. For various unfathomable reasons, we have the Medicines and Healthcare products Regulatory Agency (MHRA) regulating a non-medicine and a non-healthcare product. They don’t really even regulate homeopathic products. Not in any way that properly protects the public. In fact, they do the opposite: they give these sugar pills and potions the legitimacy of having MHRA licence numbers — just like real medicines — and ‘Government approval’. This misleads the general public who are unaware that homeopathy isn’t some ‘alternative’ or ‘complementary’ system of medicine. It isn’t a system of medicine at all. The MHRA are currently asking the public about some aspects of their regulation, including what wording should be on some homeopathic products and this is an ideal opportunity to tell them what we think. However, all we need at the moment is a quick overview of the different MHRA licensing schemes for homeopathic and similar products. Of these, there are no homeopathic products that have Market Authorisation because a little thing called evidence of efficacy is required and there is none for any homeopathic product. Given the two-hundred-odd years that homeopathy has had to come up with some decent evidence and given all the protestations by the homeopathic high and mighty of how fantastic their sugar pills are, it’s strange that there are no ‘proper’ homeopathic medicines out there. Anyway, the next one down the list is the Product Licences of Right. There are under 500 homeopathic products in this category, but the only requirement they had to meet to gain this licence was that they were on sale in 1971 when the Medicines Act 1968 came into force. No proof of safety; no proof of efficacy. In fact, all medicines, homeopathic or not, were automatically given PLRs by the MHRA’s predecessor, the Medicines Control Agency. But, by the early 1990s, most proper medicines had been reviewed and either given a full product licence if they met the criteria (including evidence for efficacy) or they were withdrawn from the market. Except homeopathic products, Bach flower products and Anthroposophic ‘medicines’ (see the guests posts about Rudolph Steiner by ThetisMercurio on David Colquhoun‘s blog for more information). These got a free ride and were allowed to remain with PLRs and continue to make claims about what medical conditions they can help, including treating some serious medical conditions. 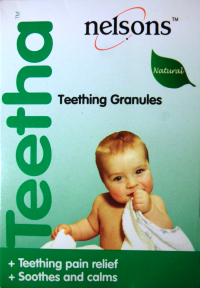 Take Nelson’s Teetha™ Teething Granules, for example. This has a licence number, PLR 1175/5198, just like a proper medicine and they claim ‘Teething pain relief’ and ‘Soothes and calms’. It is sold in a packaging that would not look out of place in any high street pharmacy next to real medicines. Does the general public really understand that this means it’s good for nothing? I doubt it. A move in the right direction? This consultation was prompted by the Government’s shambolic response to the House of Commons Science and Technology Committee report ‘Evidence Check 2: Homeopathy (you can watch the public meetings they held here). The complete abolition of PLRs for homeopathic products, proposed for April 2013. The complete removal of all PLRs for Bach flower products. The complete removal of all PLRs for anthroposophic products. The abolition of the Non Orthodox Practitioner scheme. The mandatory wording used on products licenced under the NRS. Removal of PLRs from all homeopathic products has to be good for the public. Giving these products a licence and allowing them to make claims for these sugar pills gives them unearned legitimacy and misleads the public into thinking they are proper medicines. This nonsense has been going on for 30 years and it looks like it will stop soon. There is the question of what will happen to these products and the manufacturer has the option of applying to have them licenced in one of the other categories: MA — they would would need to meet the same standards, including efficacy, as proper medicines, so no chance there, then; NRS — there is currently just the one product in this category and it seems unlikely that manufacturers would go to the cost of bothering with this for the old PLR products (despite being a multi-million pound industry). Then there’s the HR scheme, which is ridiculously easy to achieve, but, even then, the MHRA wants to allow manufacturers to do this at no cost — us taxpayers will be footing the bill. The only alternative will be to withdraw these products from the market. The MHRA intends to take the position that these should no longer be regulated as medicines. I am not clear at the moment exactly what that means, but they could be marketed as food supplements. At least they won’t have the imprimatur of MHRA licences, but I bet they will still erroneously call them ‘remedies’. I wasn’t aware that some of these products were injectable, but apparently some of these products may meet the definition of a homeopathic product. The MHRA advances its thoughts on whether they should be brought under the NRS, but thinks it unlikely it is acceptable to have an injectable product in this category. They propose other options that need to be considered. I had never heard of the NOP scheme, but it seems little used (and there have been few MHRA inspections under it in recent years). This needs further investigation, but the MHRA say that most of those licenced under this scheme are homeopaths, mixing their own potions. The MHRA consultation only mentions the labelling of NRS products, even though the original Select Committee report didn’t differentiate between the different licence schemes when discussing misleading labelling. But they still want the original obfuscating text about ‘symptomatic relief’. Well, that’s a lot clearer then. Not. One of the issues is the use of the word ‘quality’. I believe that give the impression that the product is effective. If I buy a quality car, I expect it to be well manufactured, to strict tolerances and to high standards. I also expect it to work. Using that word to describe a sugar pill is highly misleading. The proposed wording still gives homeopathic products the false imprimatur of having statutory recognition and being licensed. I think Andy Lewis of Quackometer fame, got it just about right when he devised a simple label he thought should have to be applied to all homeopathic potions and bottles of sugar pills. I will be making a submission for the Nightingale Collaboration and I’ll publish that when I’ve completed it. 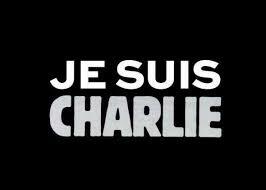 I would also urge you to make your own submission to the MHRA. It doesn’t need to be anything too complex; just a few paragraphs on what you think the regulation and labelling of homeopathic products should be. This is a great chance for all those concerned by people being misled by the regulation of homeopathy to make their voices known. Please do what you can and let me know if you respond to the consultation. The deadline is 18 February, so we have ample time to tell the MHRA what we think. I wonder how the MHRA think that homeopathic products are in any way “medicinal”? That will certainly be one of my criticisms! Outstanding work! Marketing Authorisation (MA) only for all claimed remedies is the only well founded way forward. All of the other schemes are a fudge to allow ineffective or unsafe products to continue to be marketed by the back door.